A healthy weeknight alternative to your average salad. 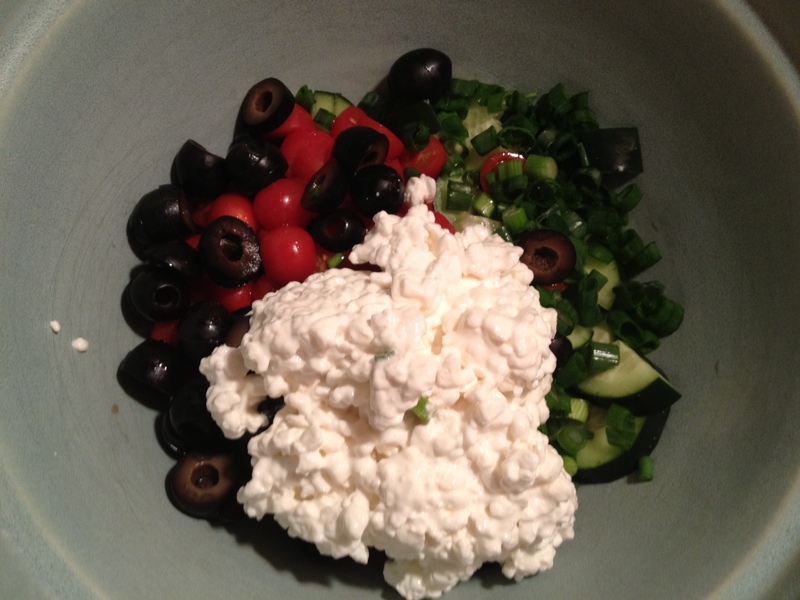 Cottage cheese just ain’t for canned pineapple and peaches anymore…Who knew it would taste so good mixed with veggies? I certainly didn’t. I feel like everyone I know hates cottage cheese. In fact, I had completely forgotten it existed until I stumbled upon this super easy recipe. 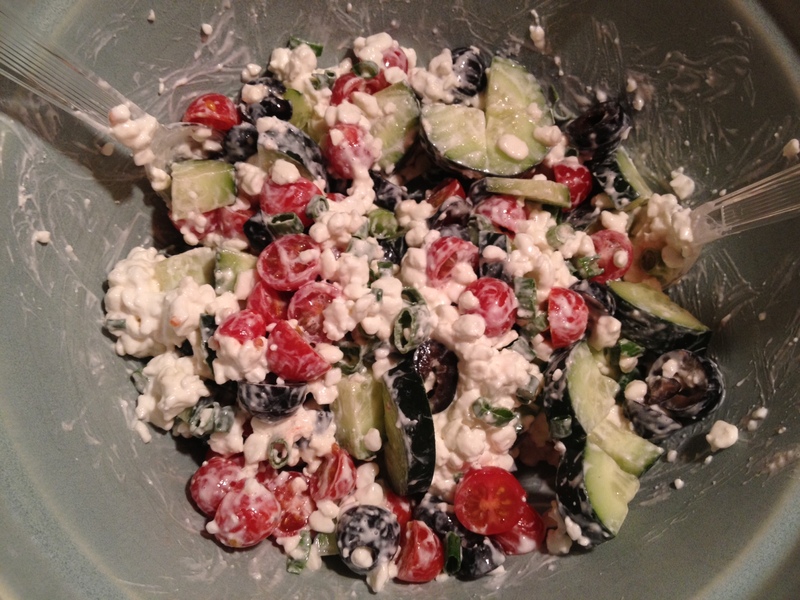 start by slicing your veggies - cucumbers, grape tomatoes, black olives, and green onions. Scoop on about a cup of cottage cheese - give or take. Depends on preference. The recipe I found called for Za’atar, which according to the “always accurate” Wikipedia is a mix of Middle Eastern herbs. 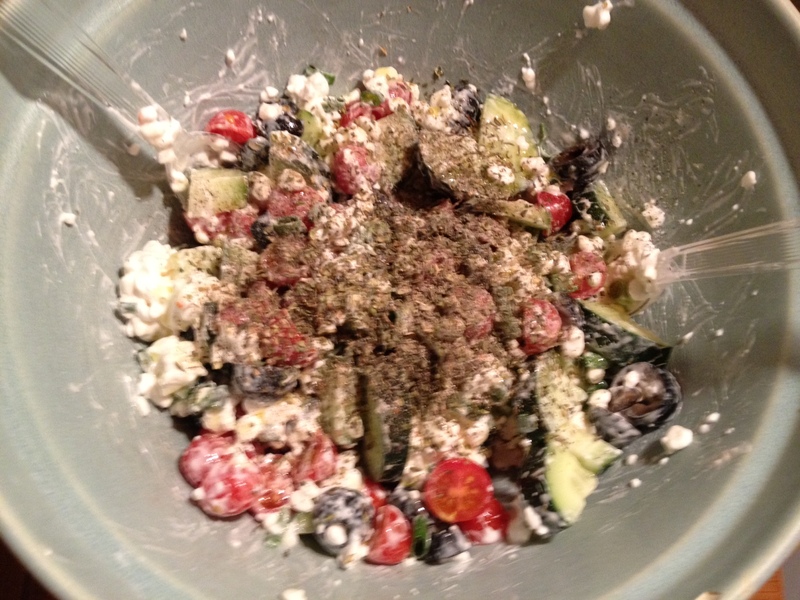 I couldn’t find it at the store, so I improvised and added some dried oregano, basil, thyme, salt and pepper. Not sure if they all had the same effect but everything still ended up tasting great! Cut the cucumbers into fourths lengthwise and then cut into slices. 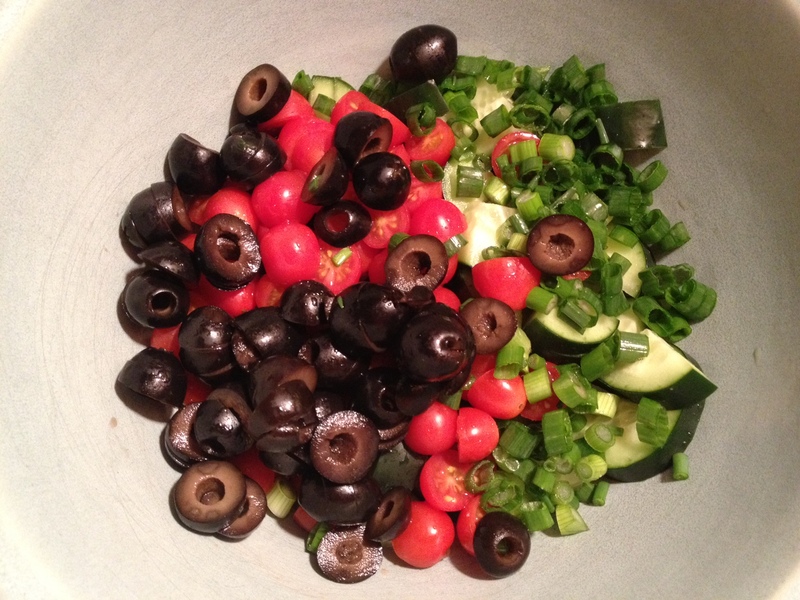 Dice the tomatoes, slice the green onions, and slice the olives. 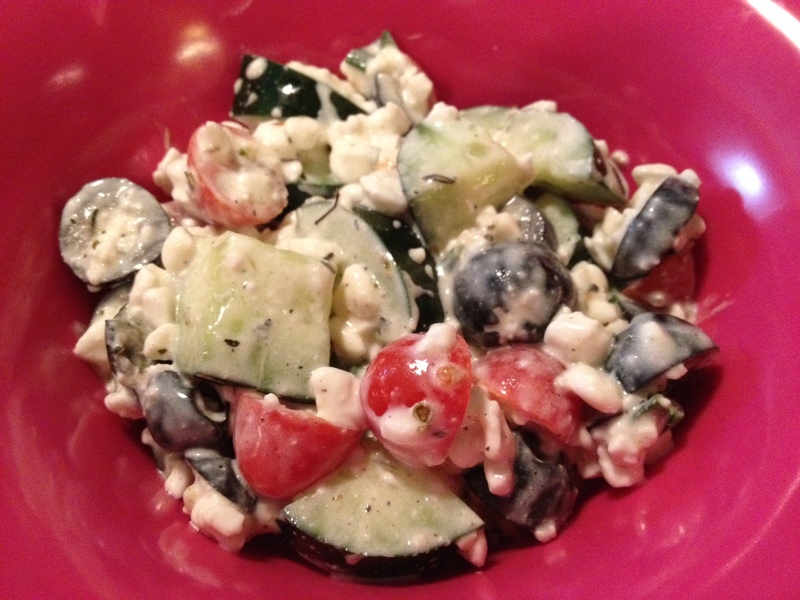 Combine the vegetables in a salad bowl, large enough to toss the ingredients together.